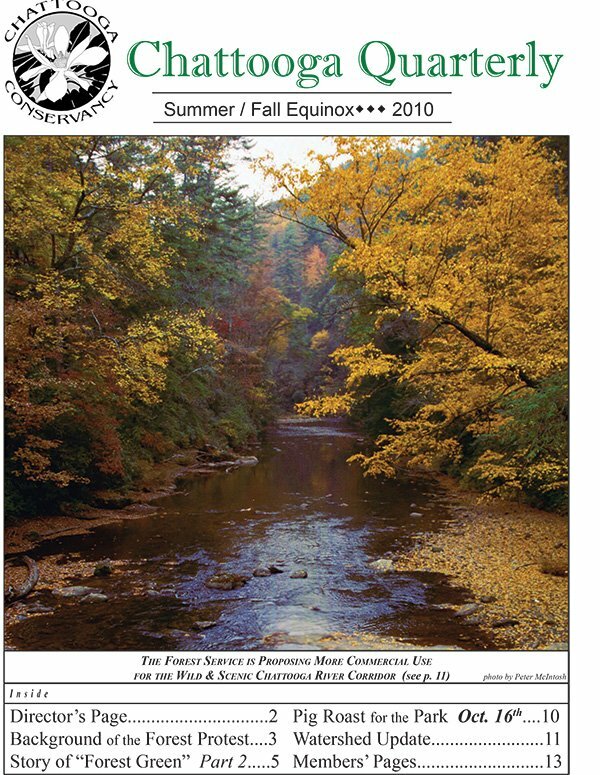 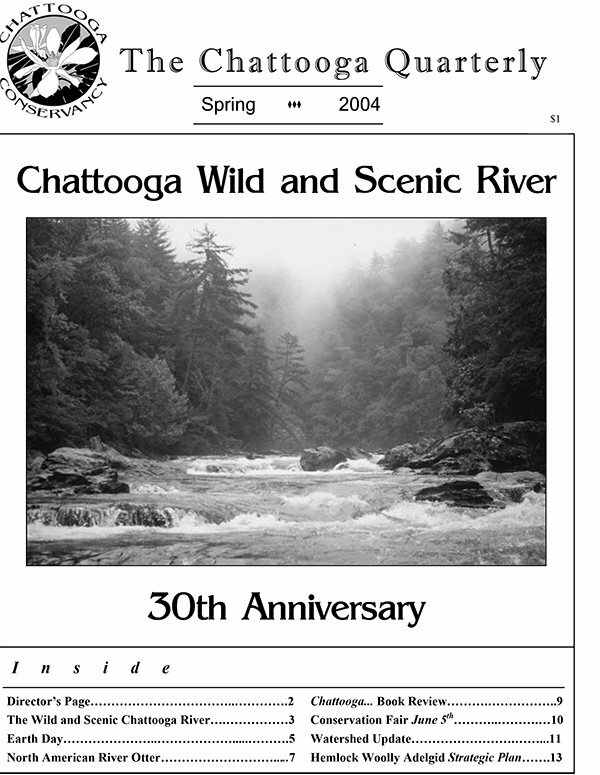 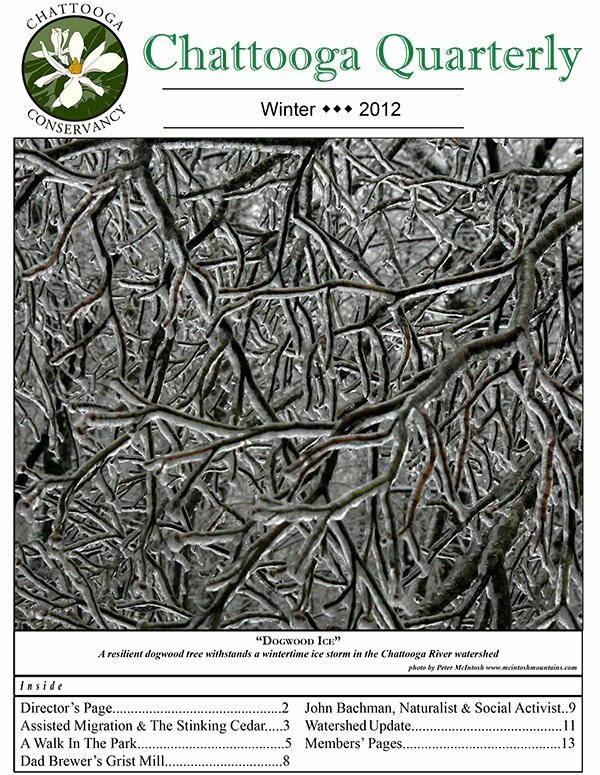 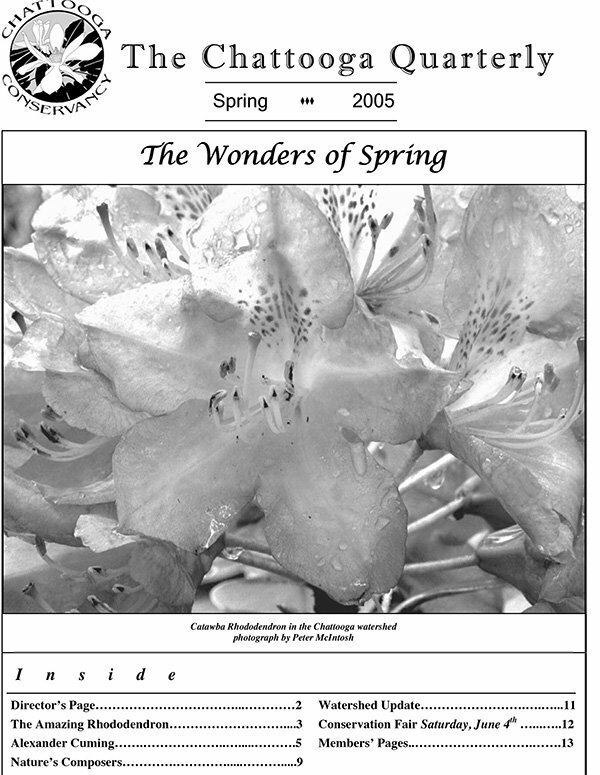 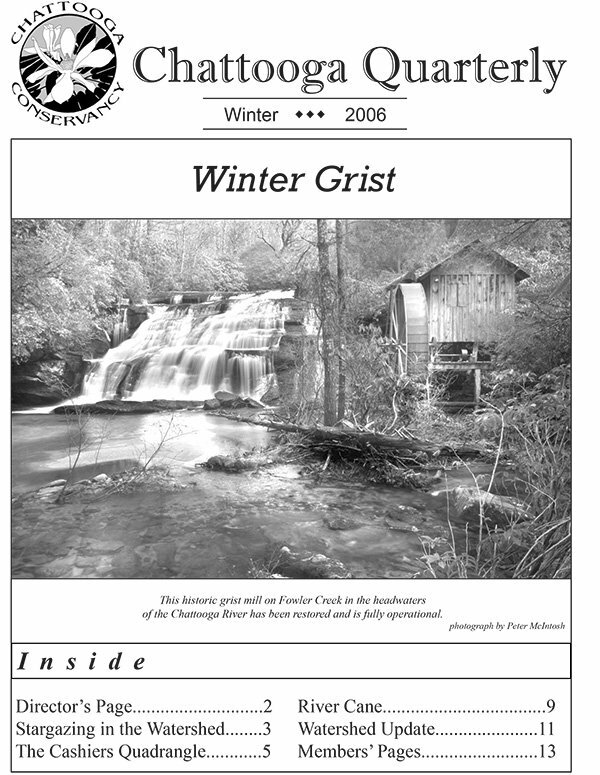 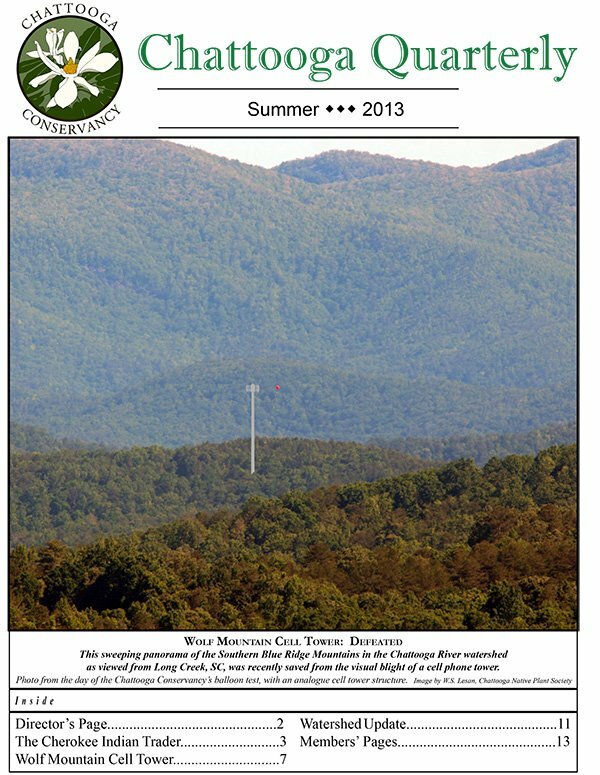 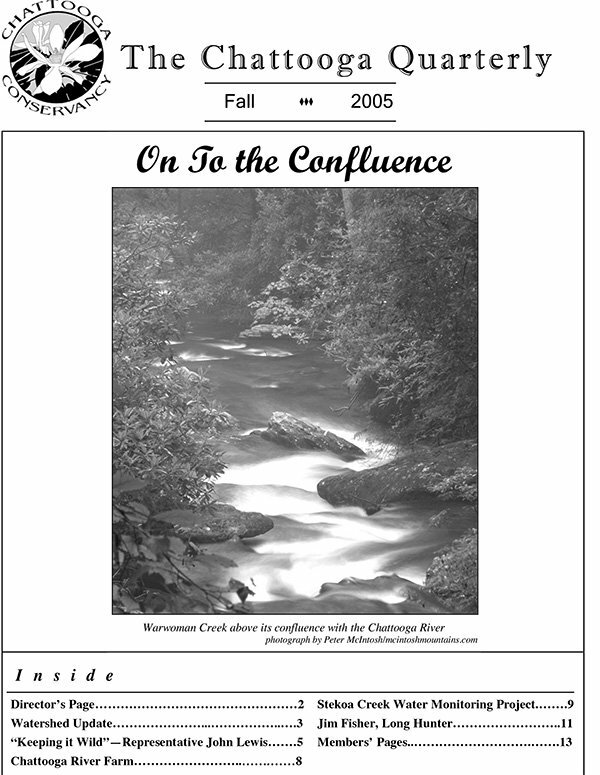 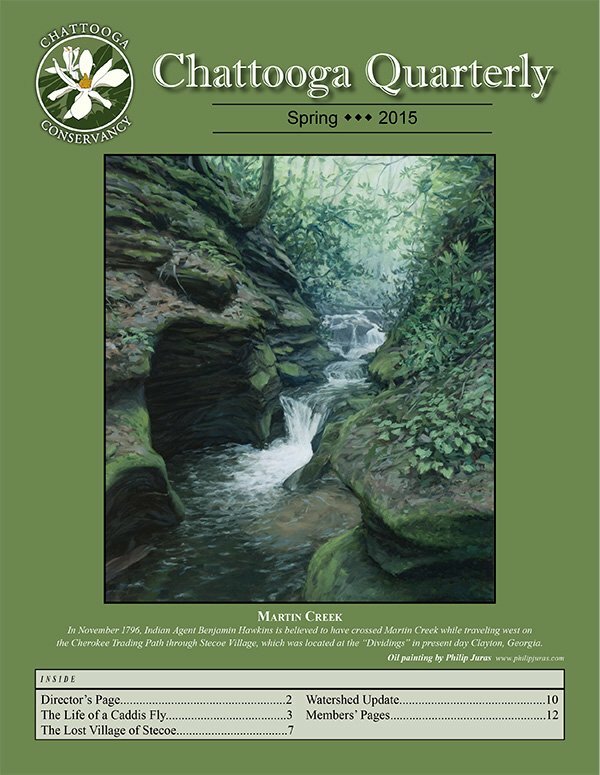 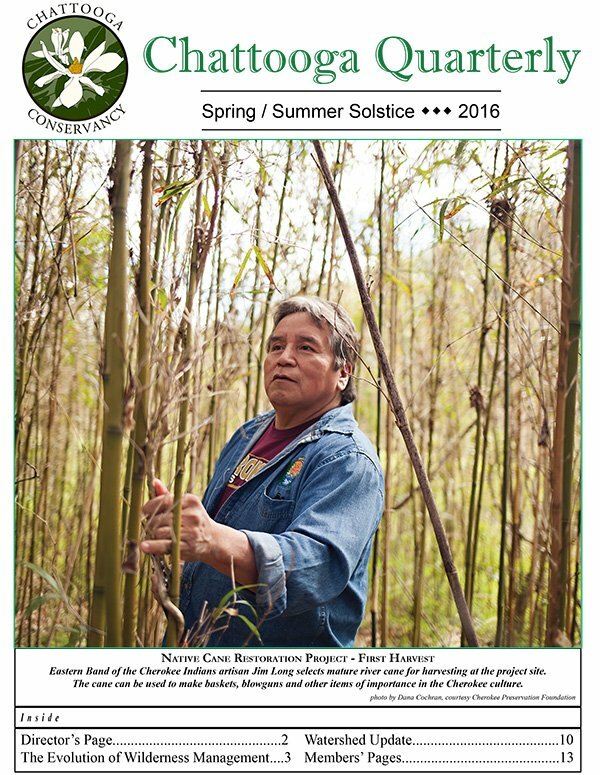 The Chattooga Quarterly is composed and published by the Chattooga Conservancy. 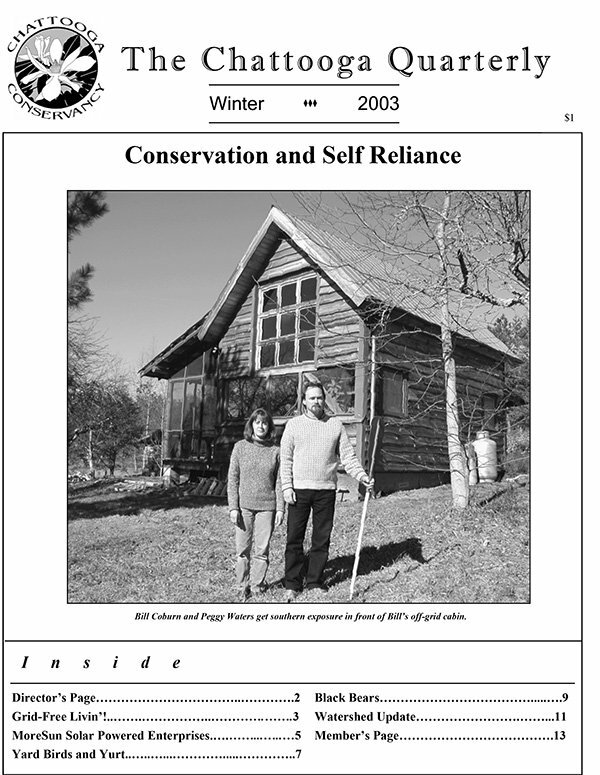 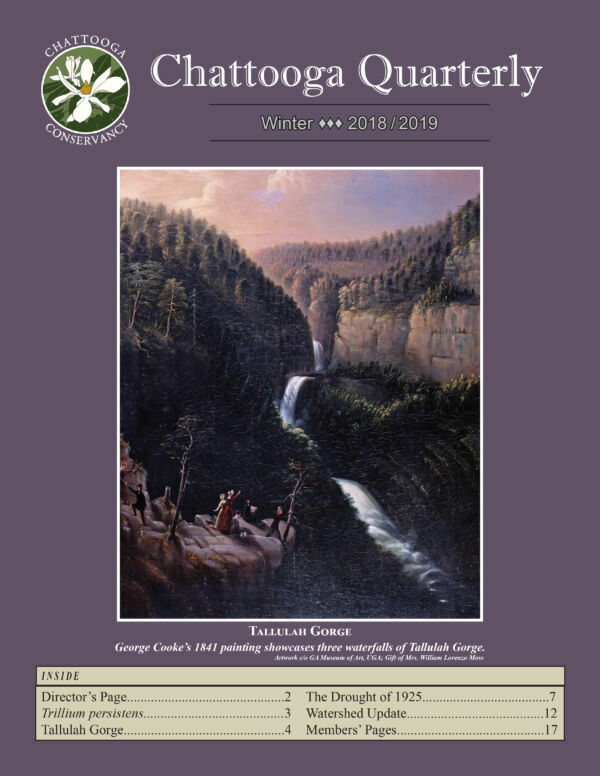 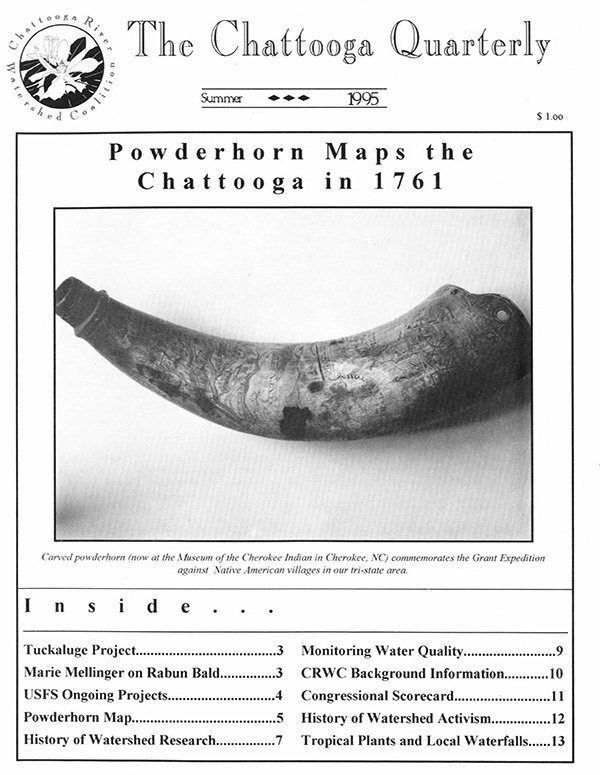 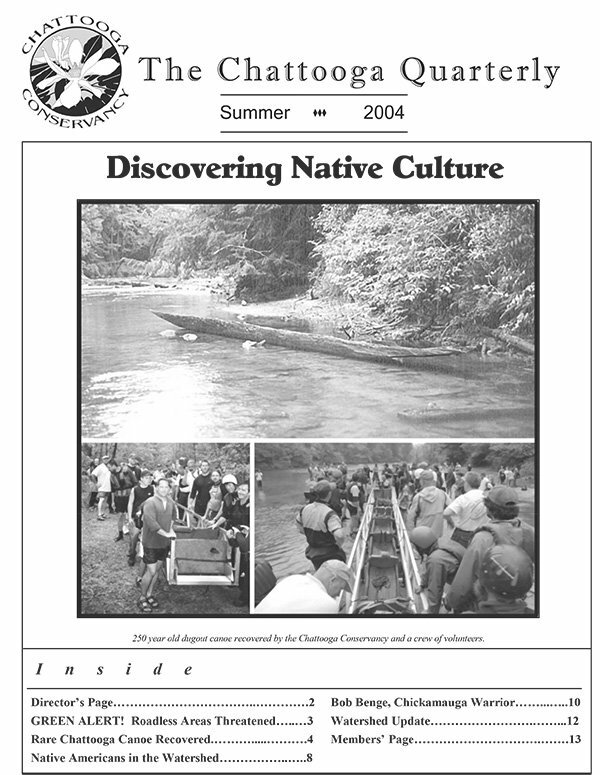 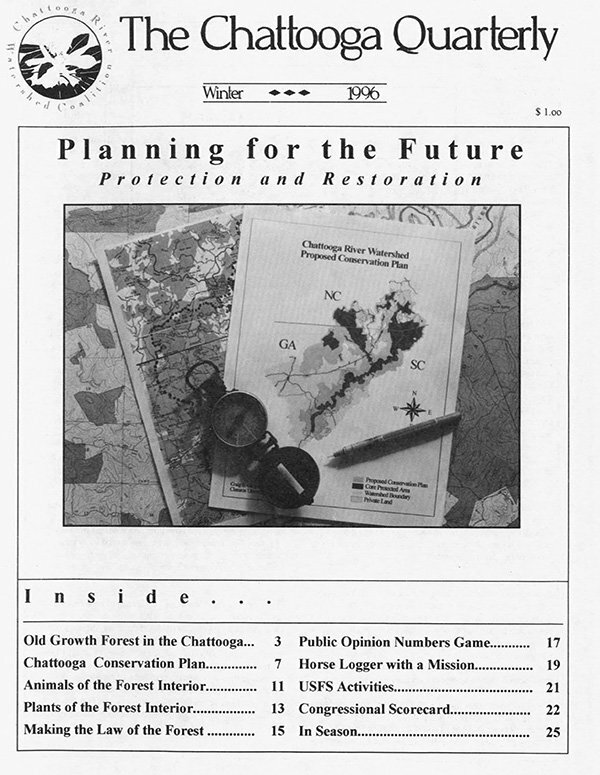 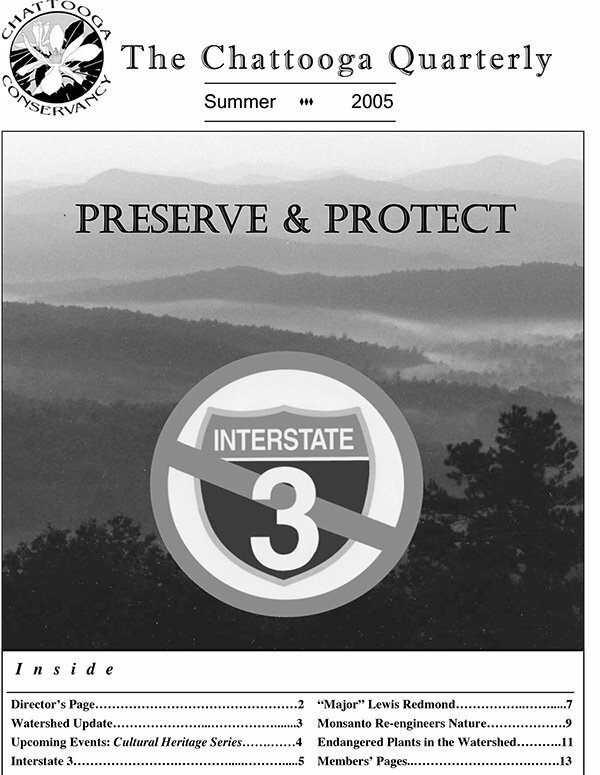 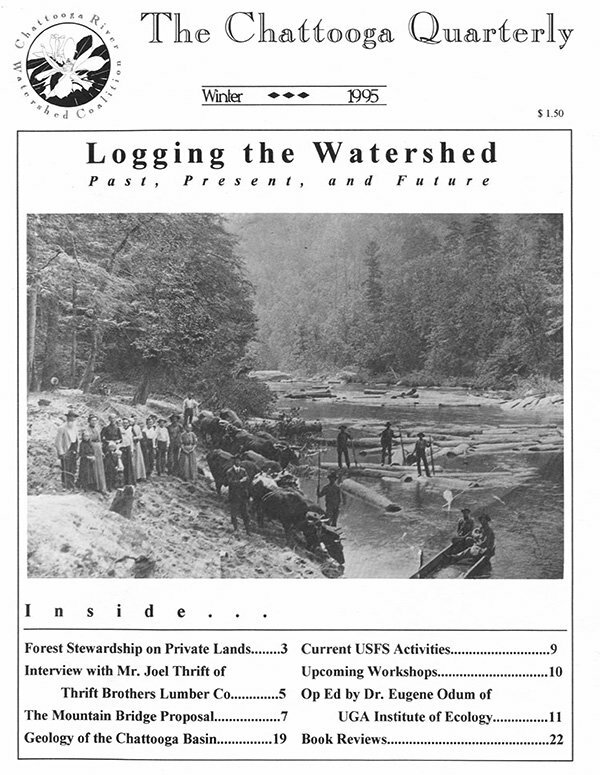 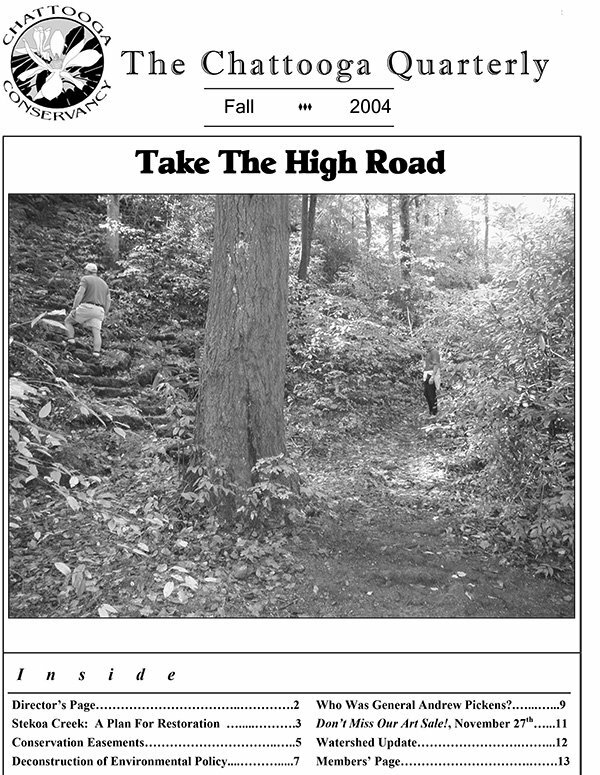 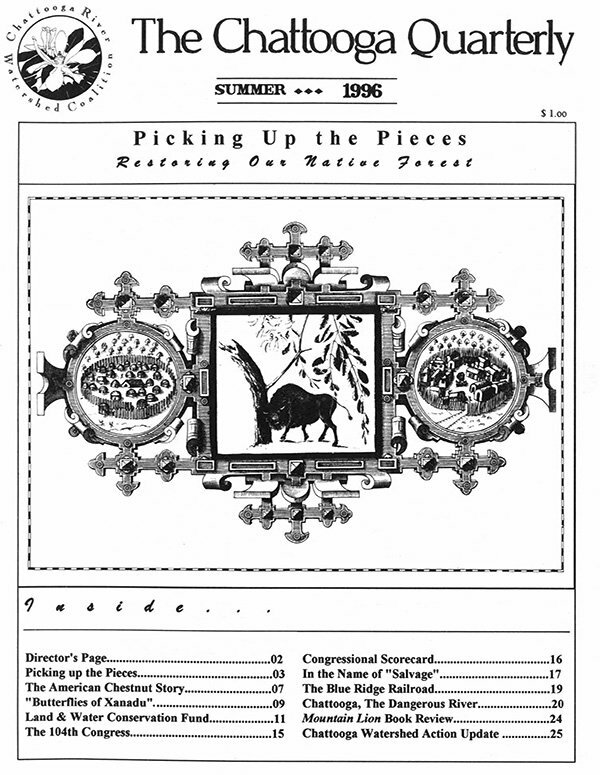 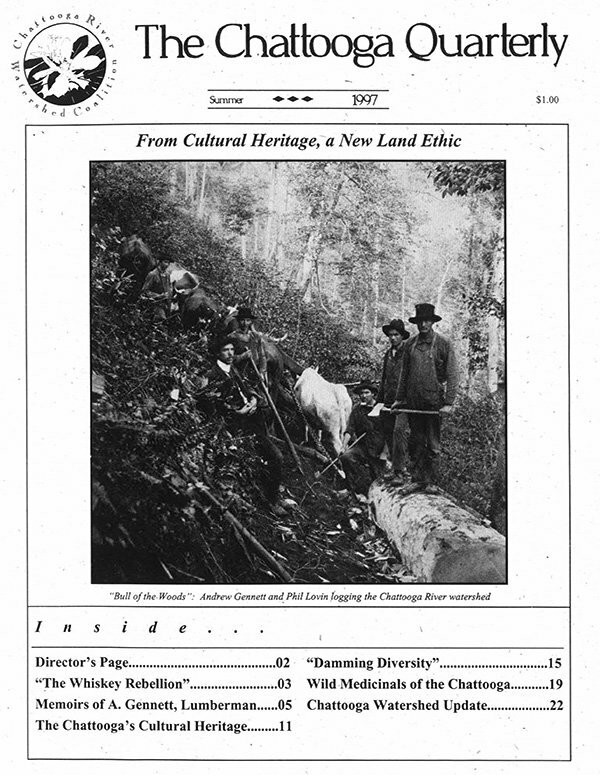 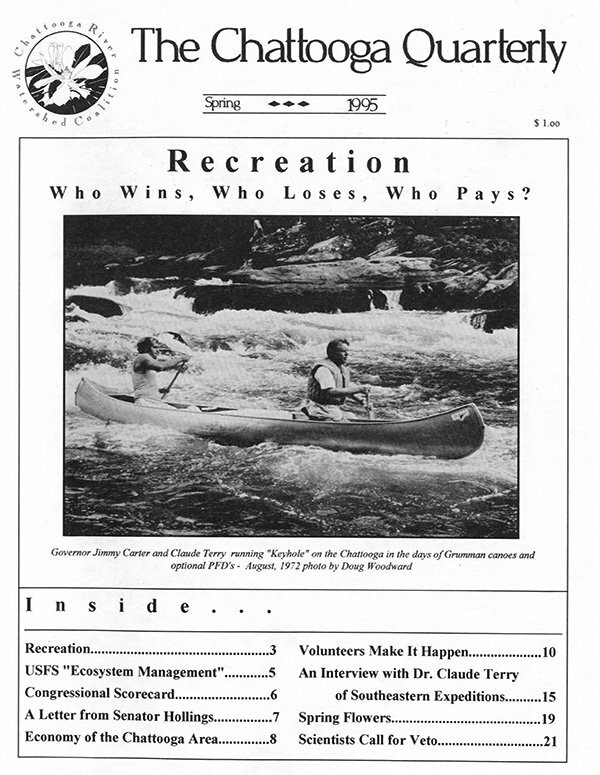 This acclaimed publication features articles about the Chattooga watershed’s natural and cultural history, as well as updates on program work, and membership news. 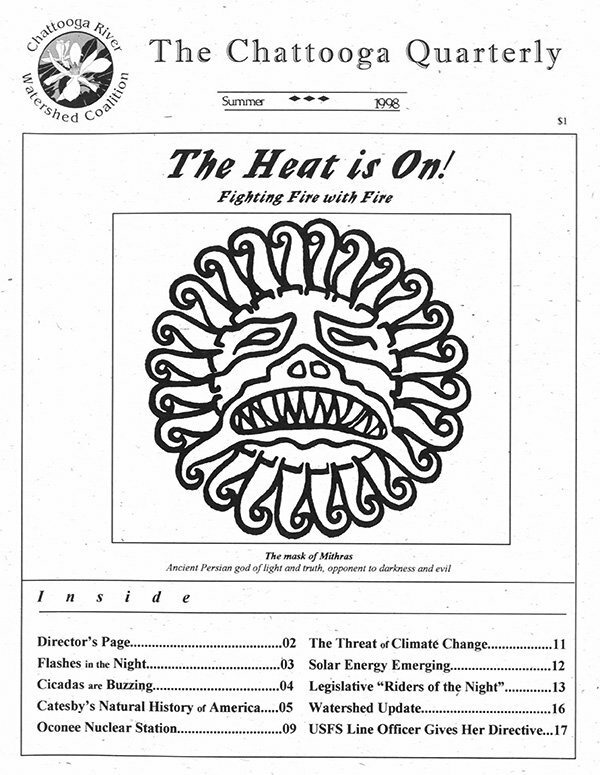 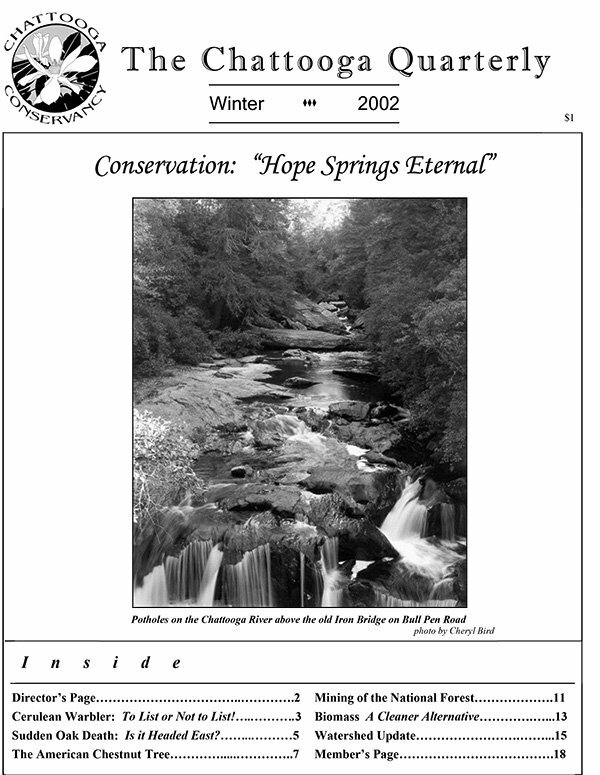 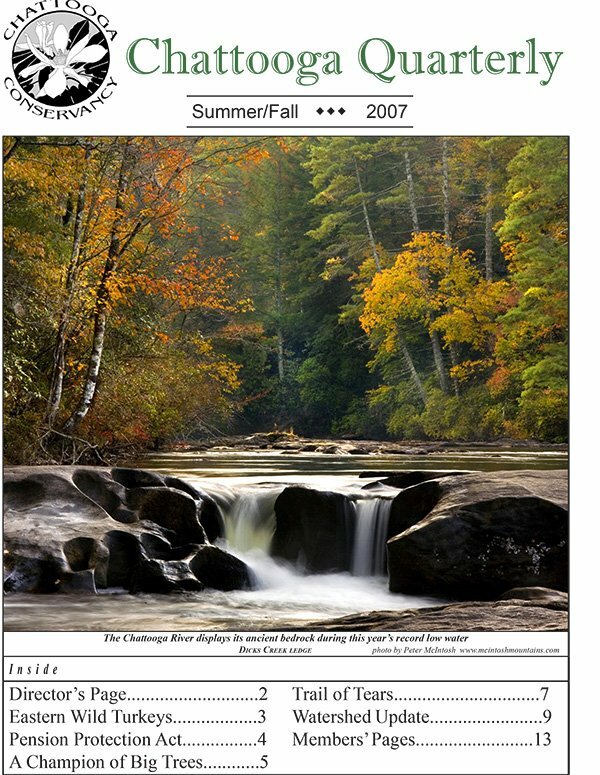 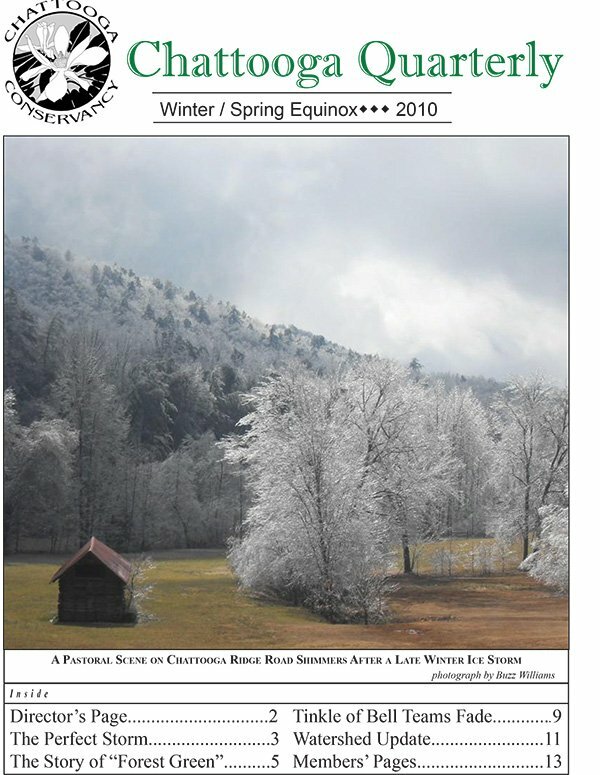 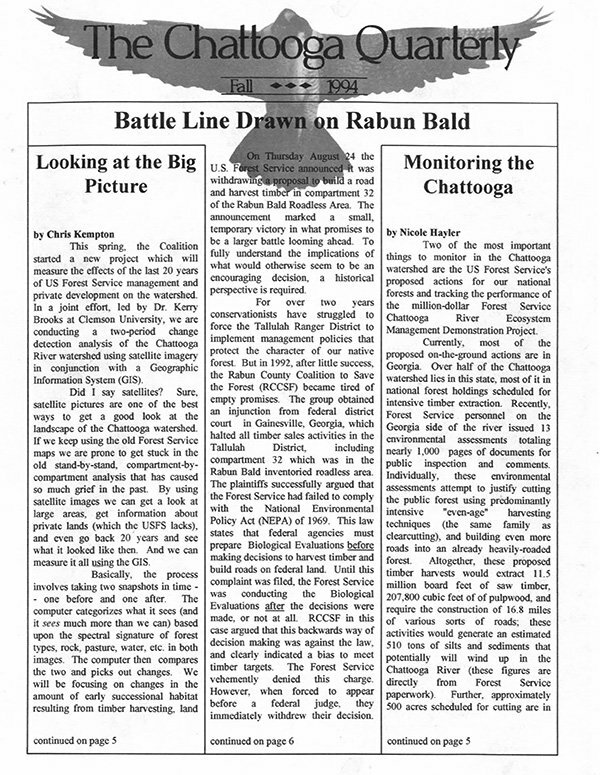 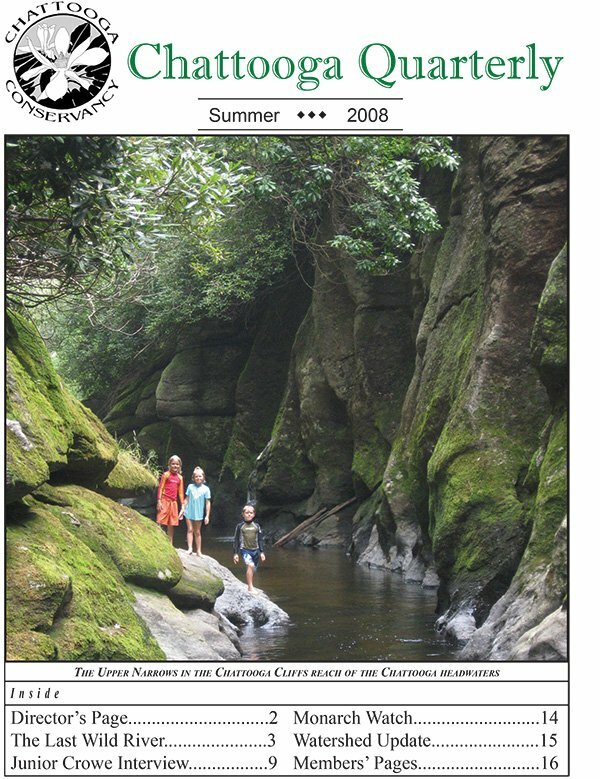 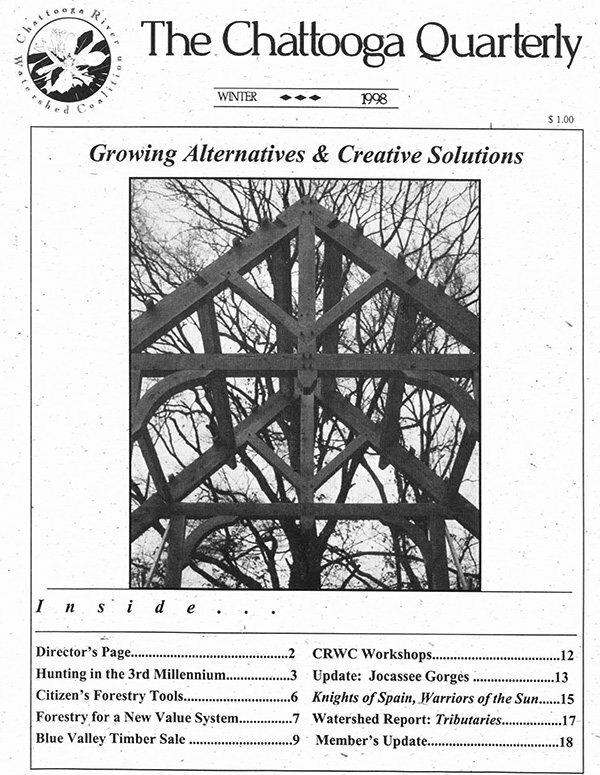 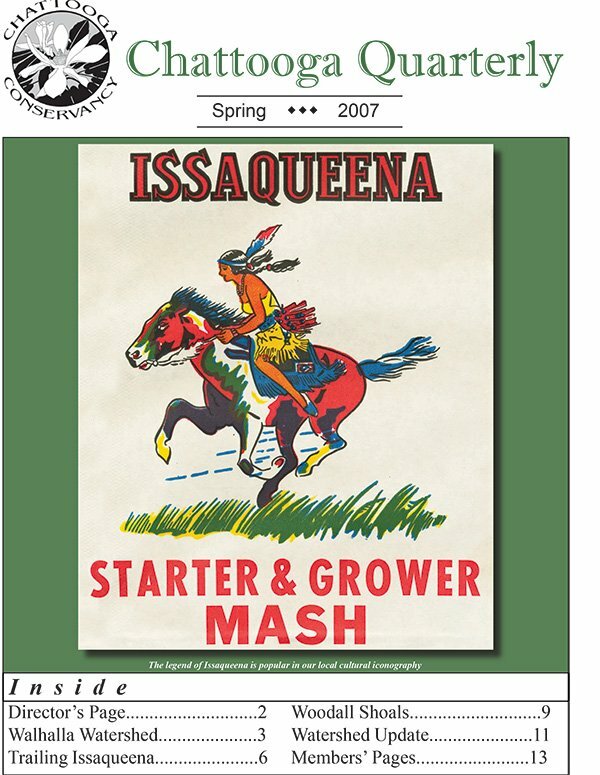 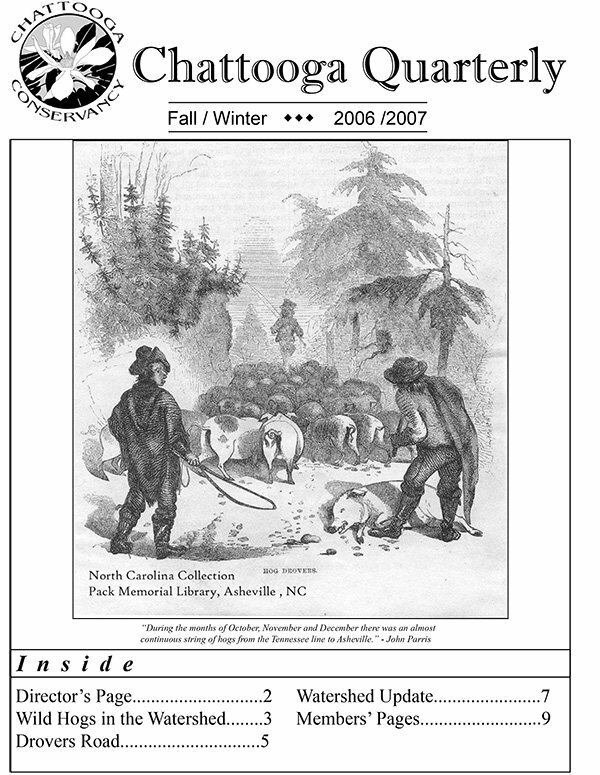 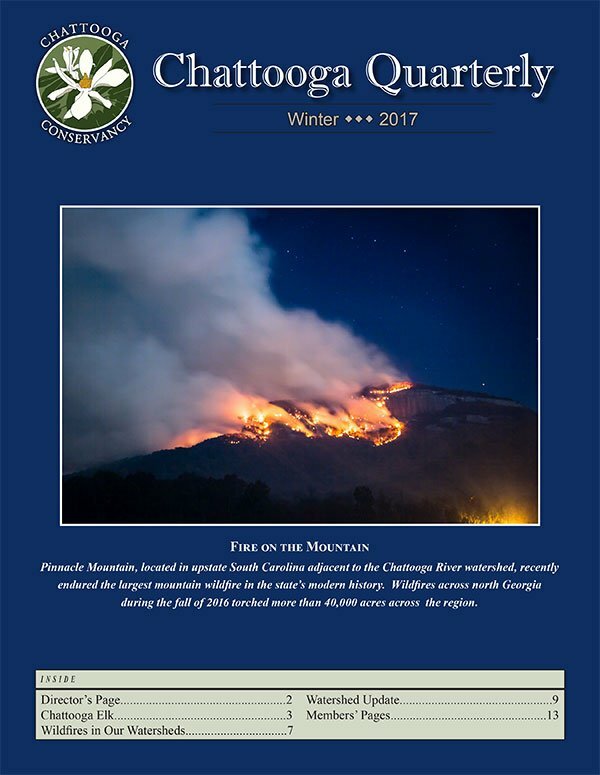 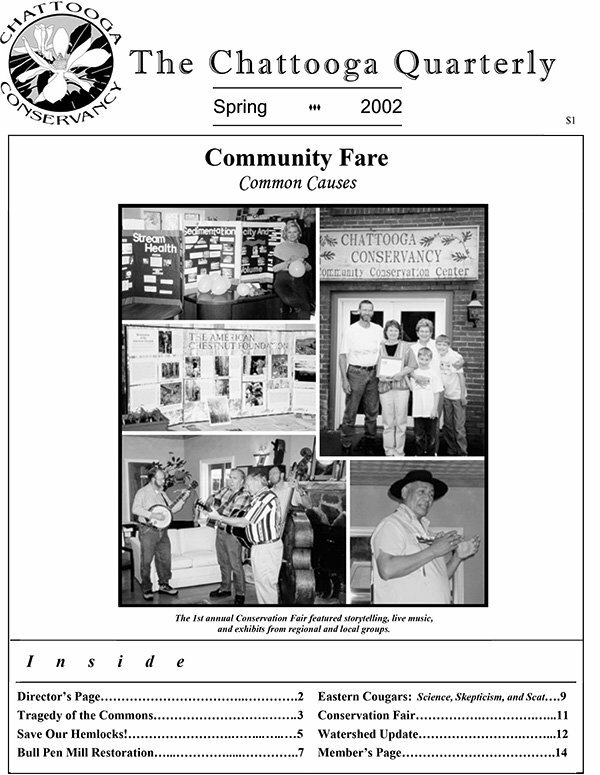 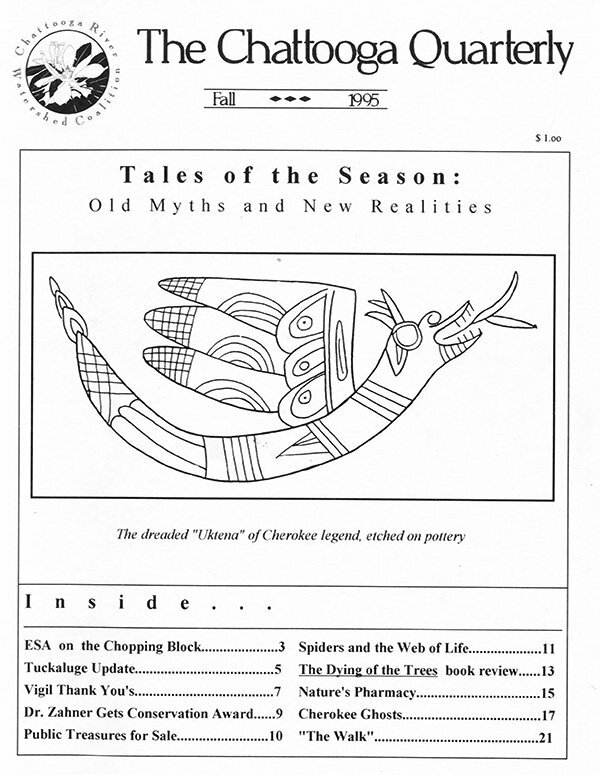 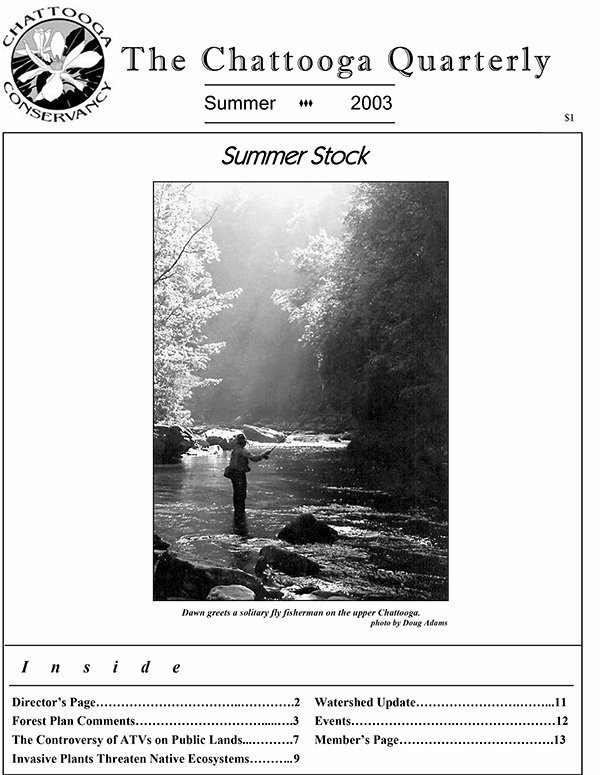 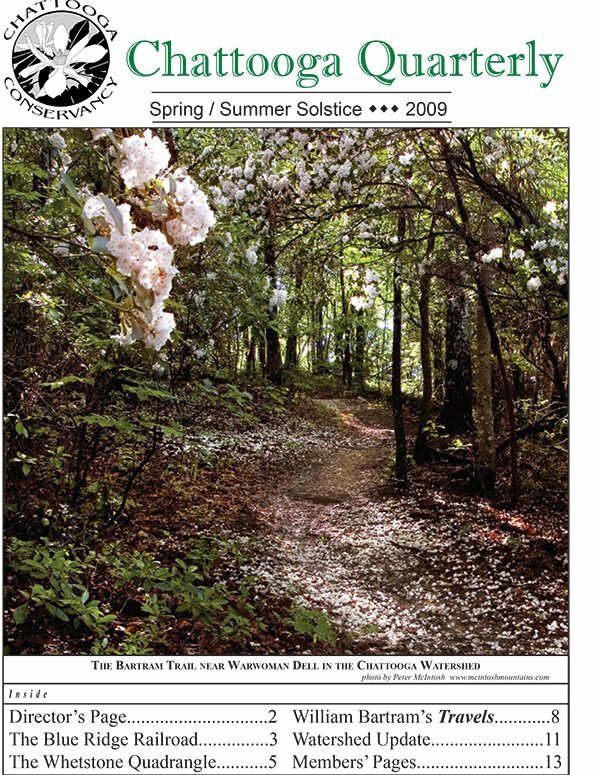 The Chattooga Quarterly is posted on our website, and also appears in hard copy as a 12 to 20 page magazine that is mailed to our membership and distributed at public outreach events. 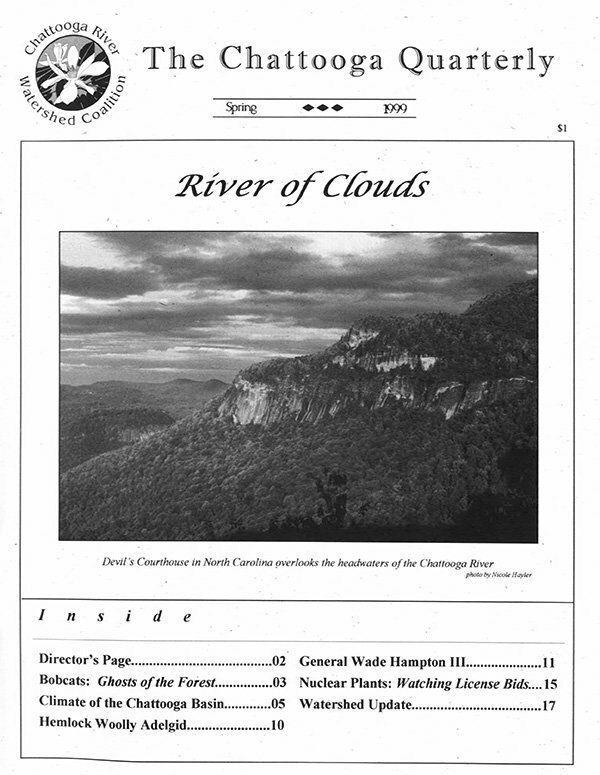 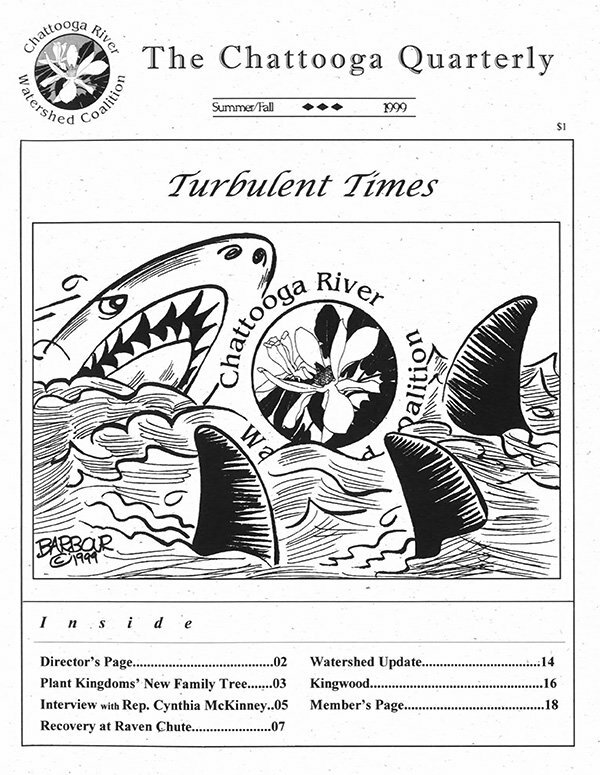 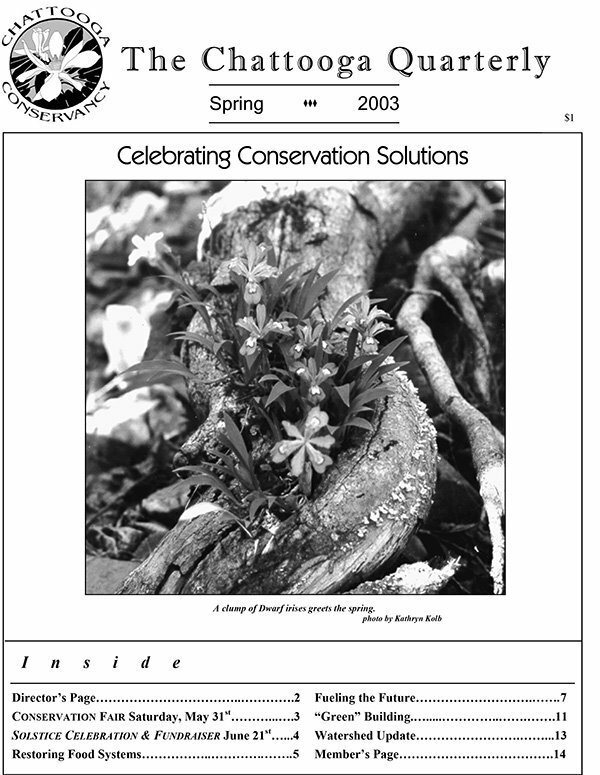 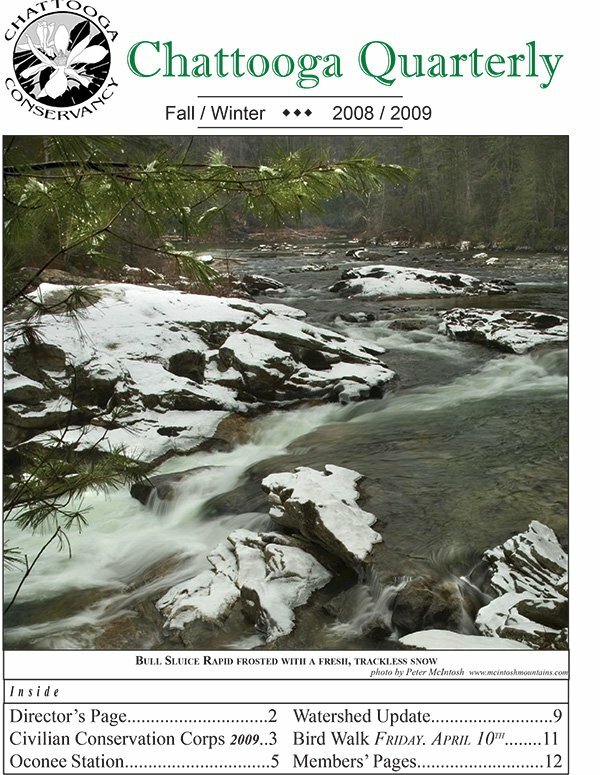 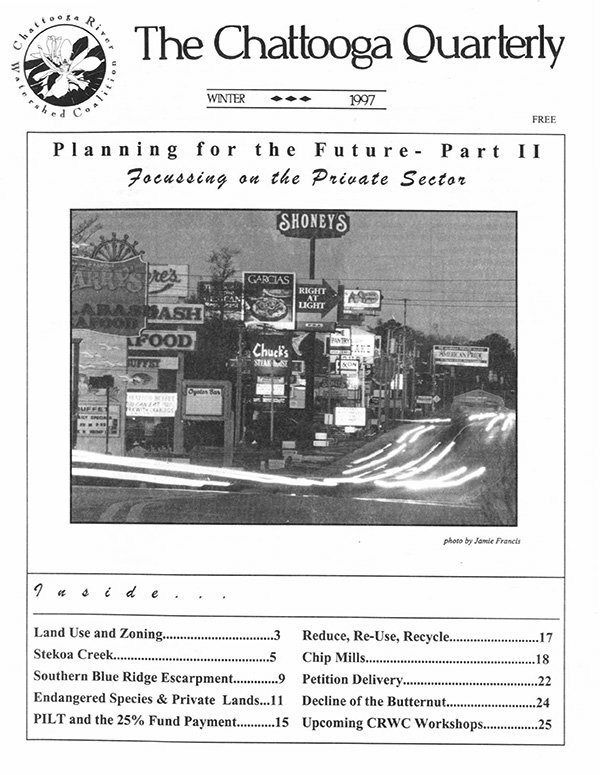 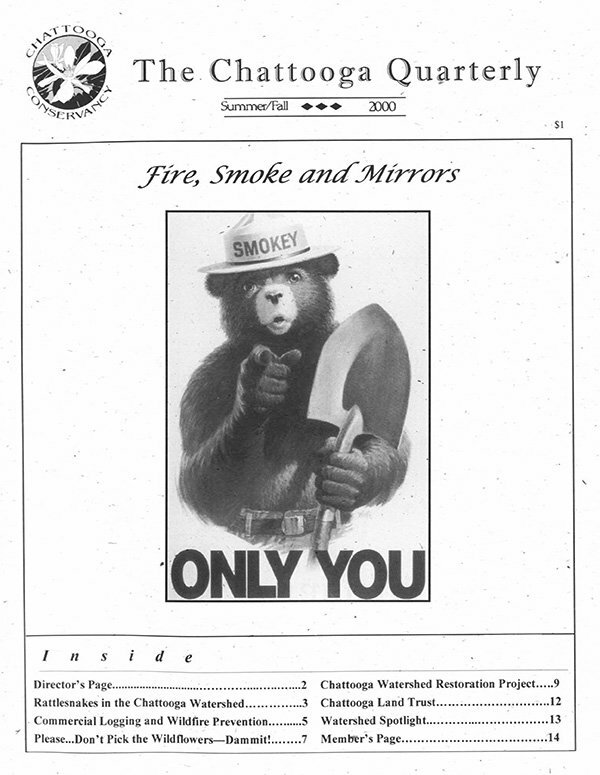 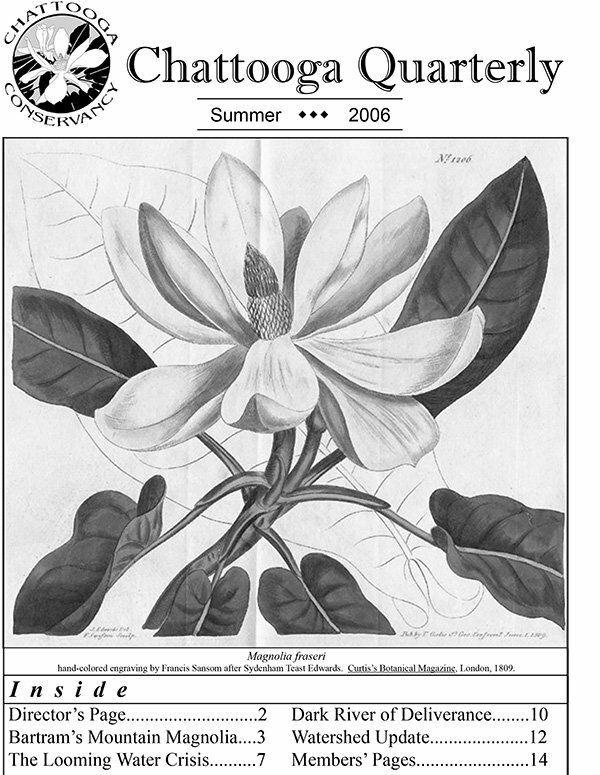 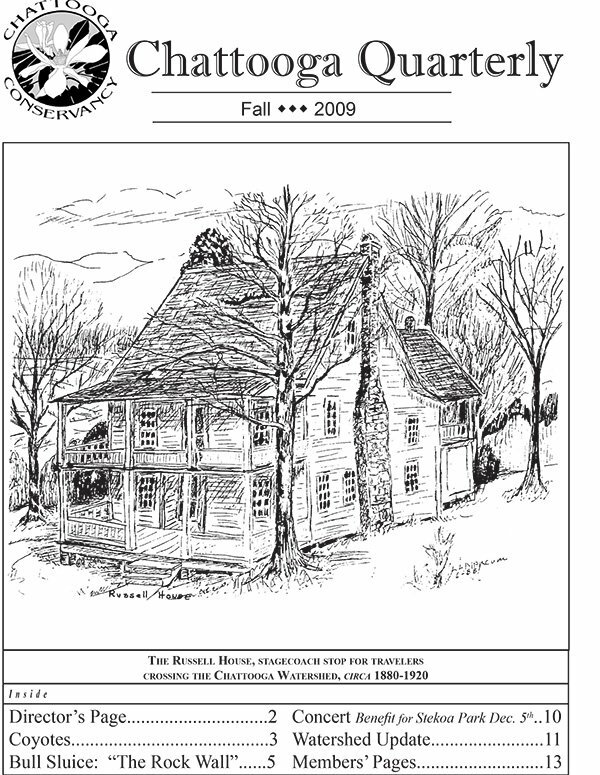 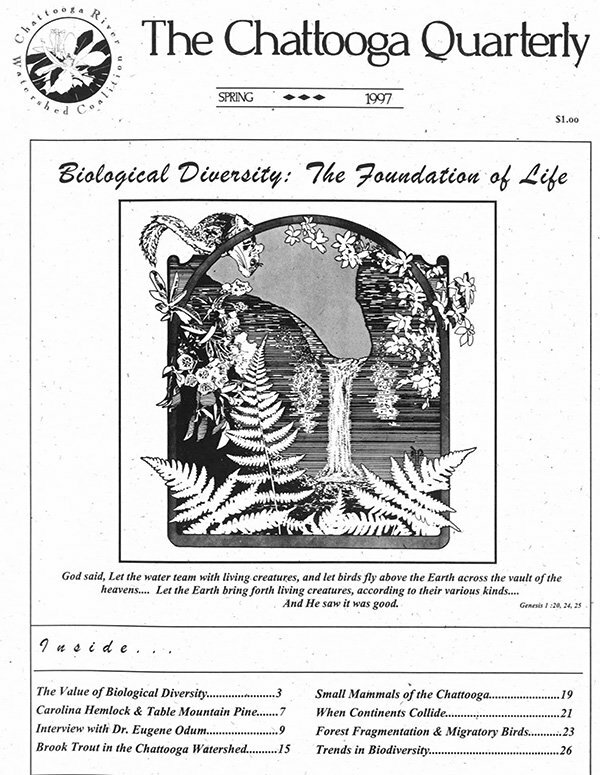 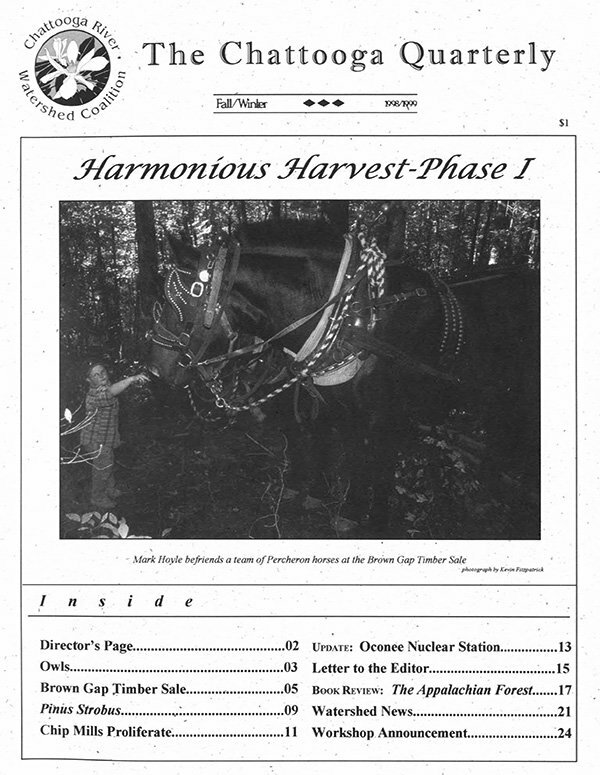 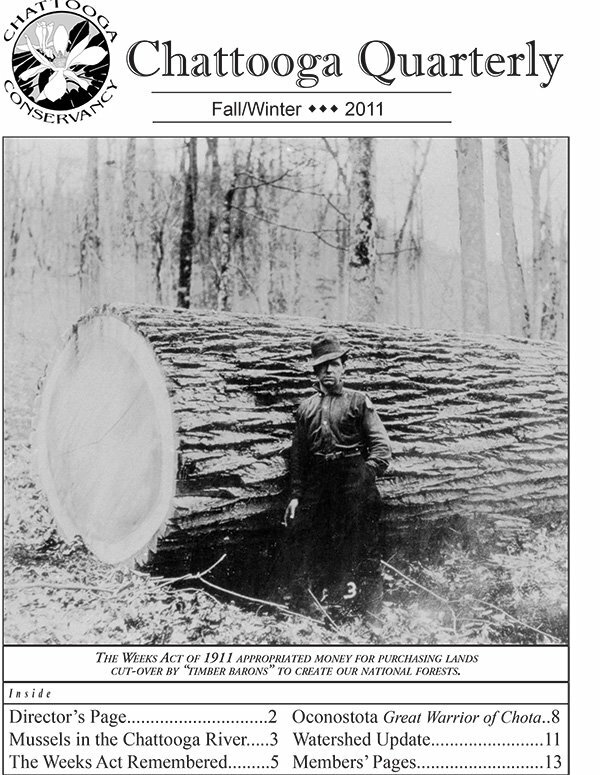 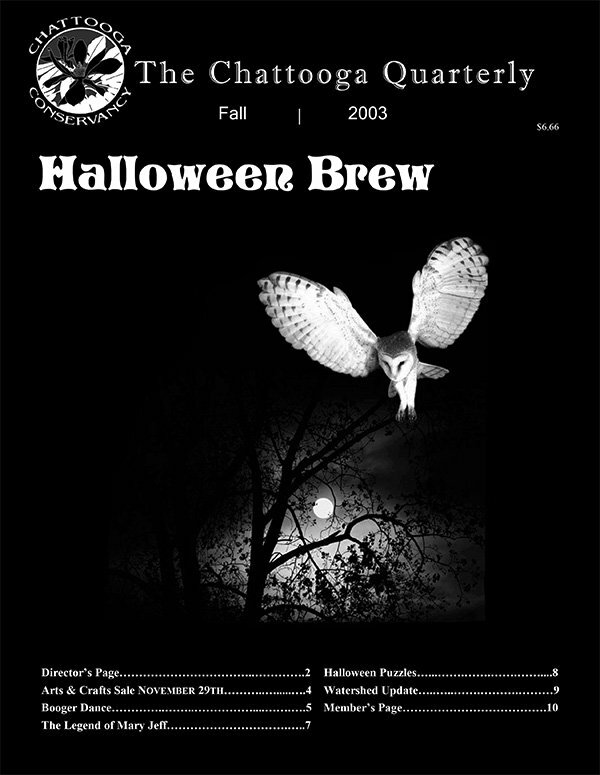 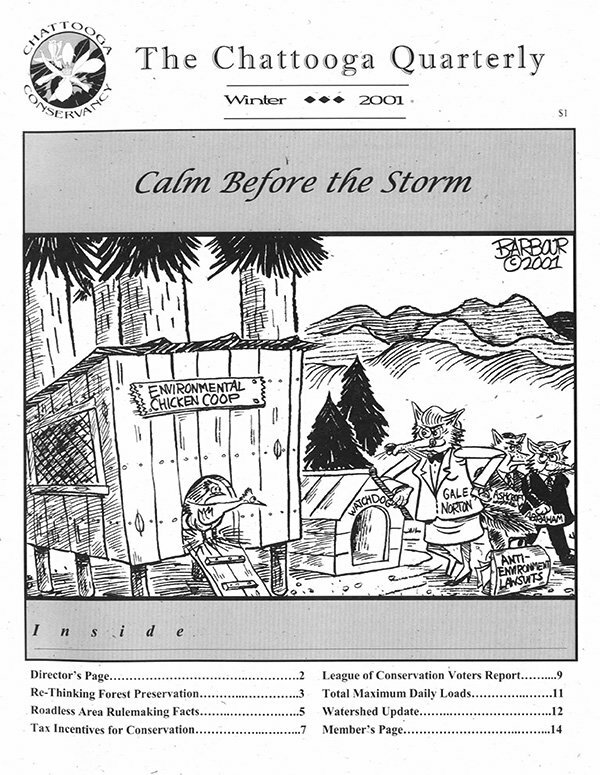 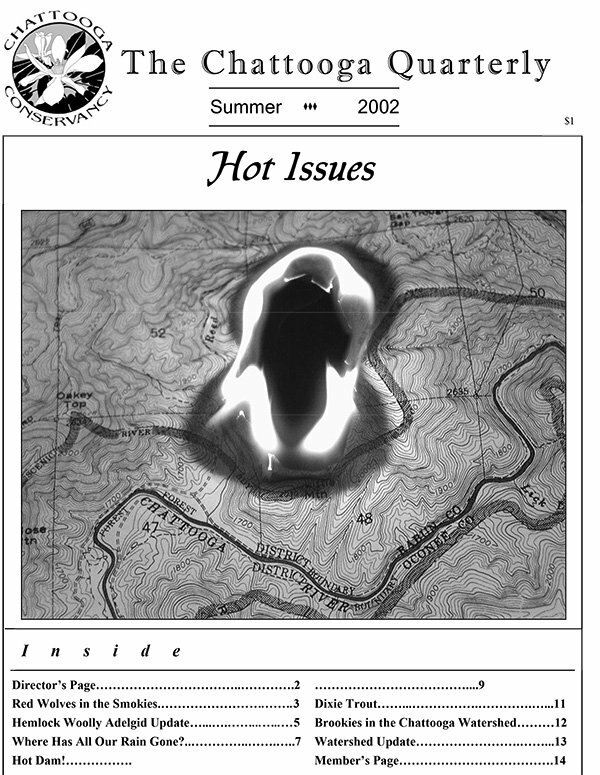 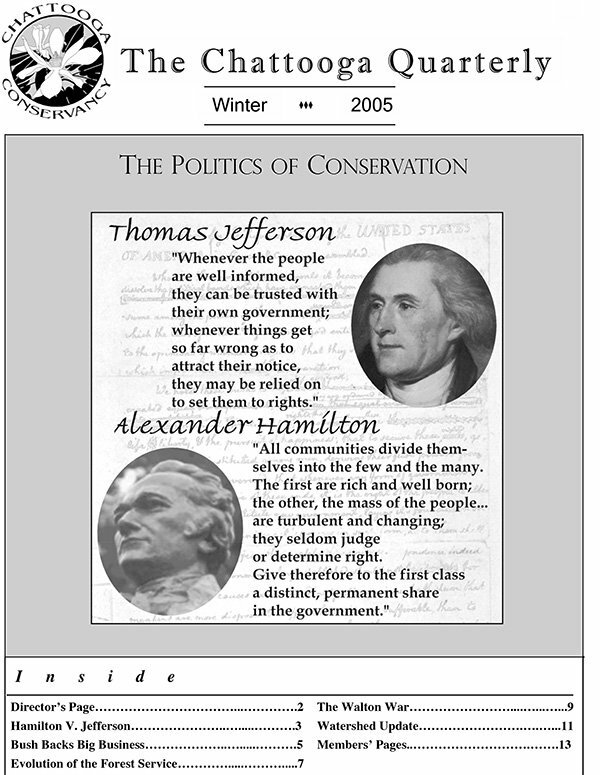 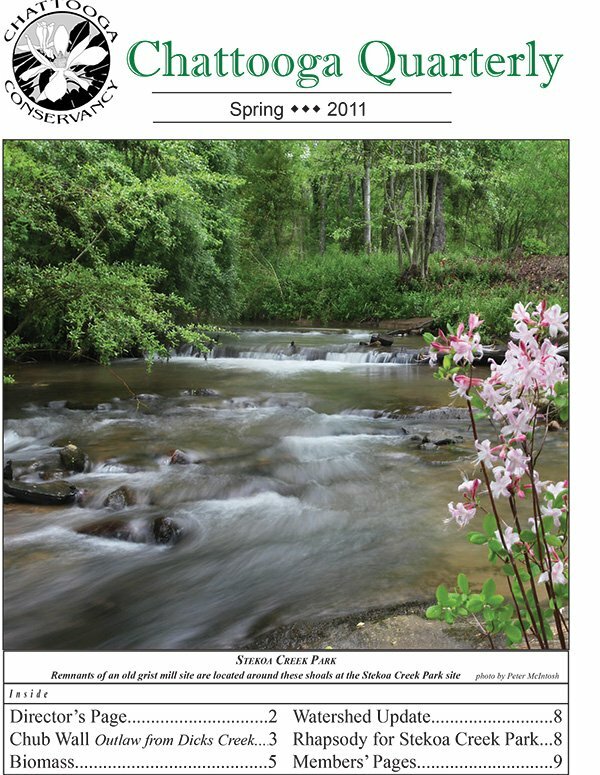 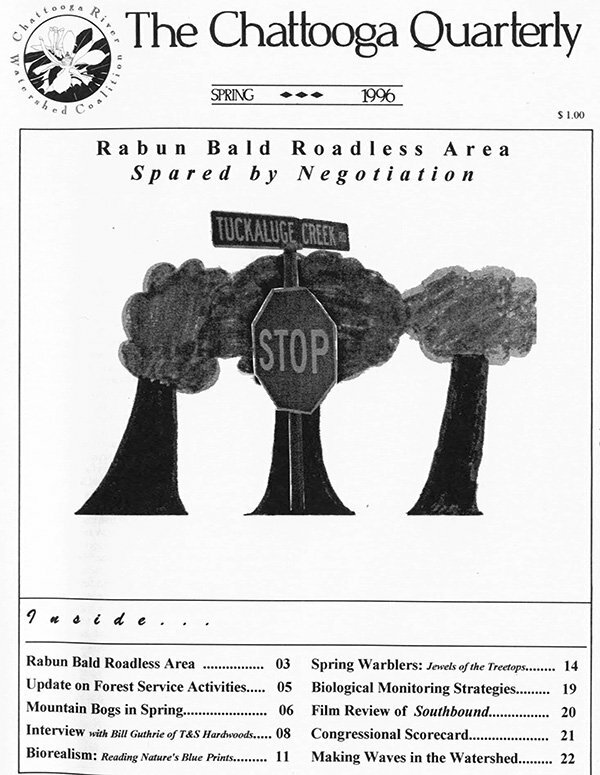 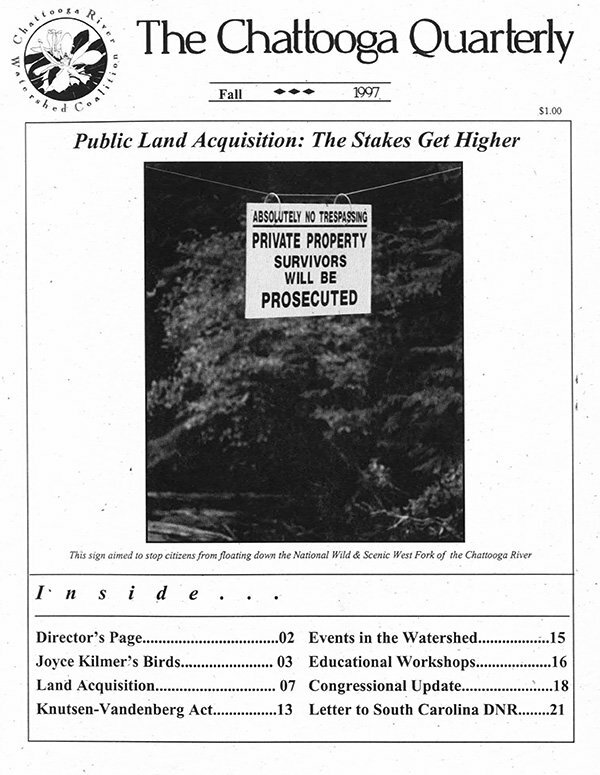 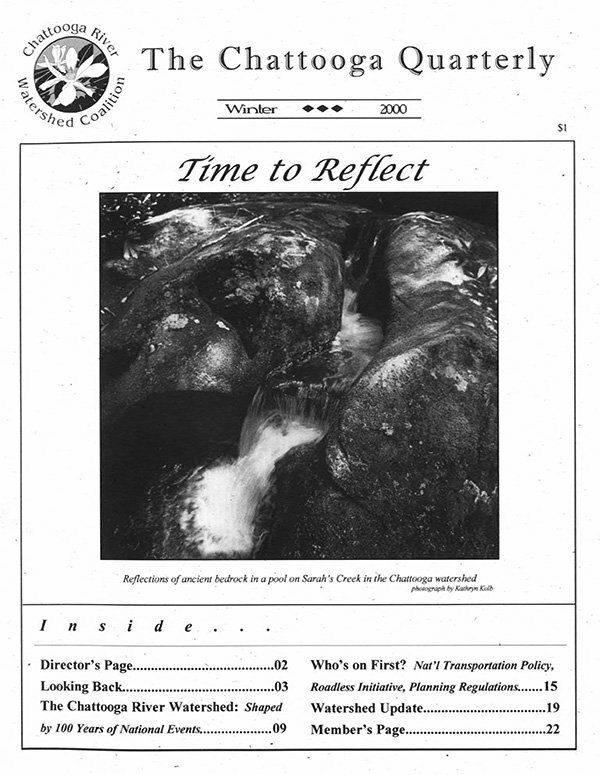 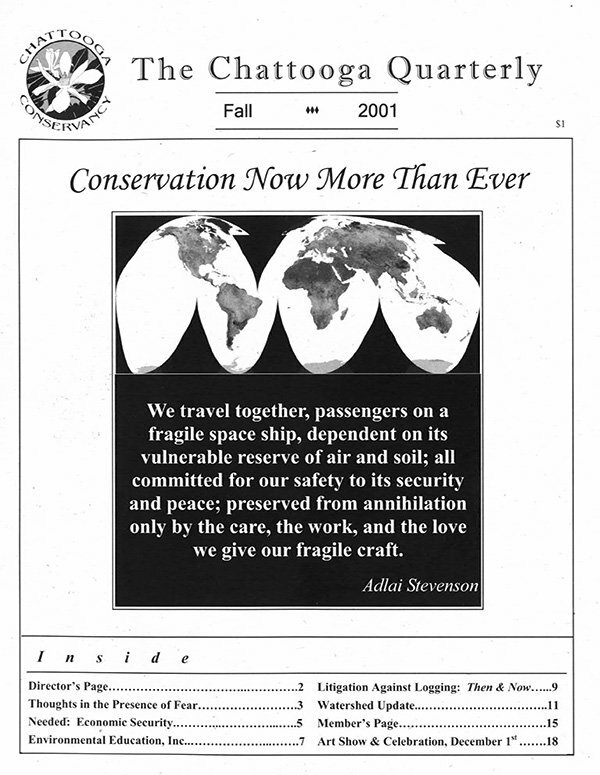 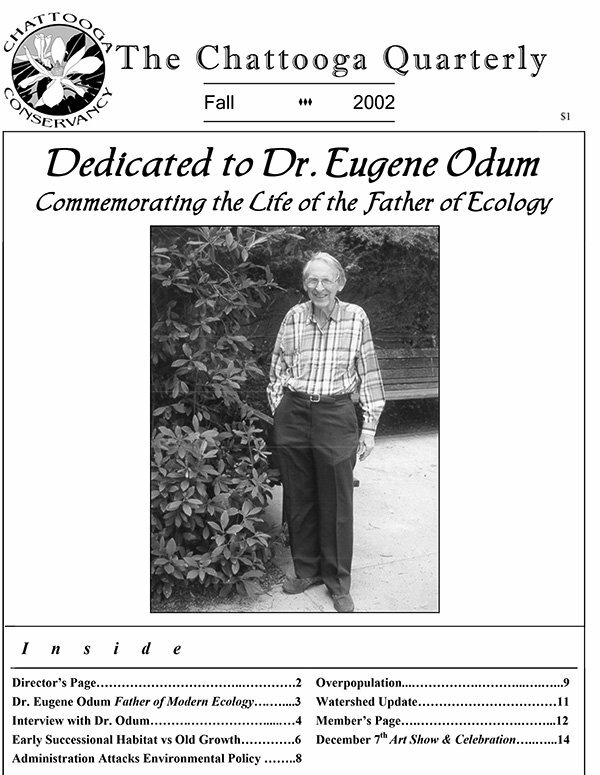 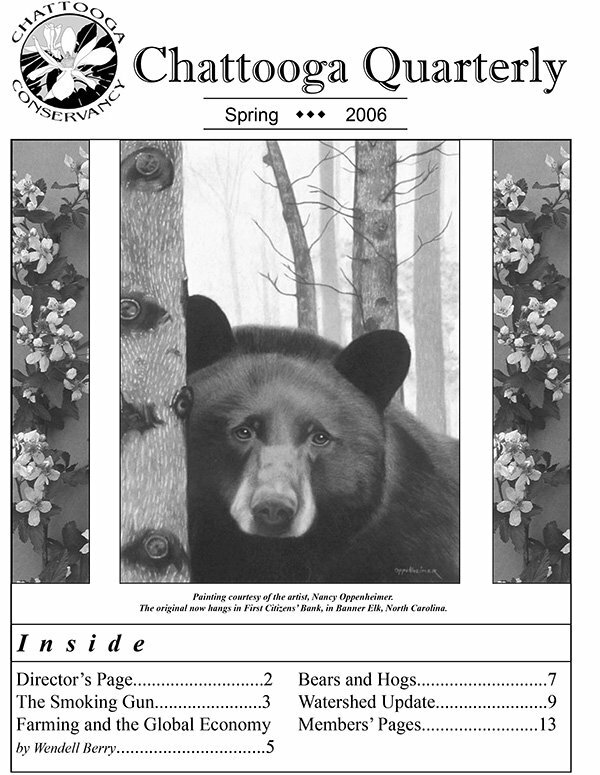 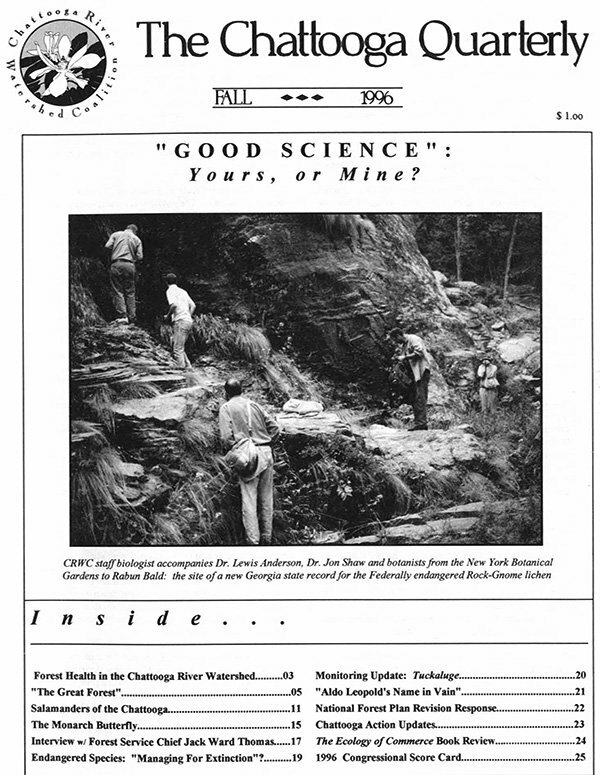 Each issue also contains a Director’s Note, Member Pages, and Watershed Updates. 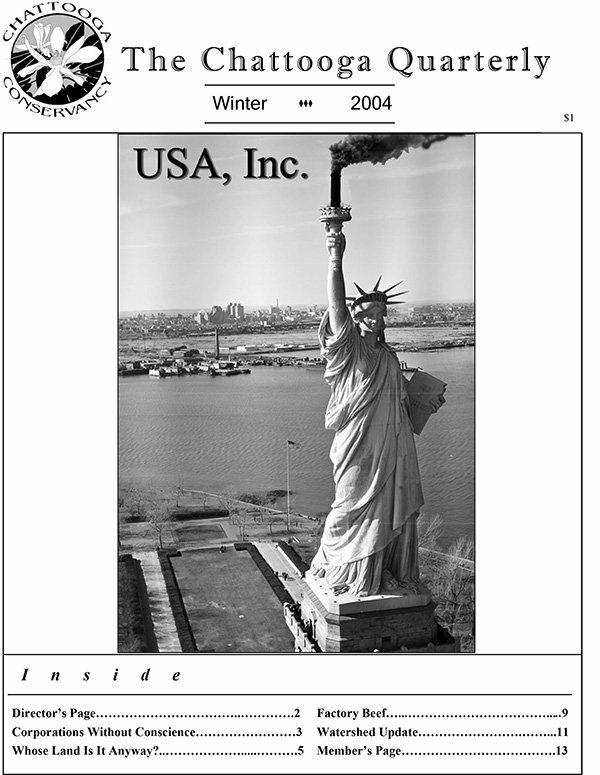 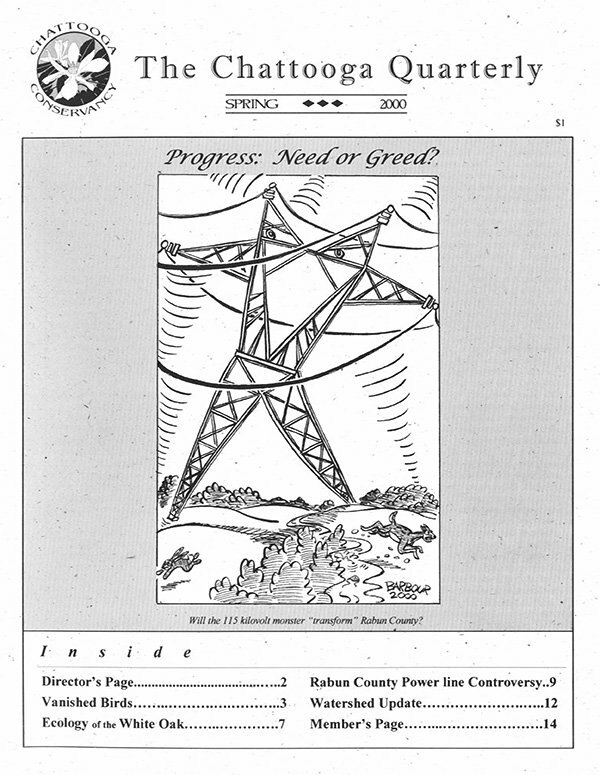 Click here for a searchable Index of issues and articles. 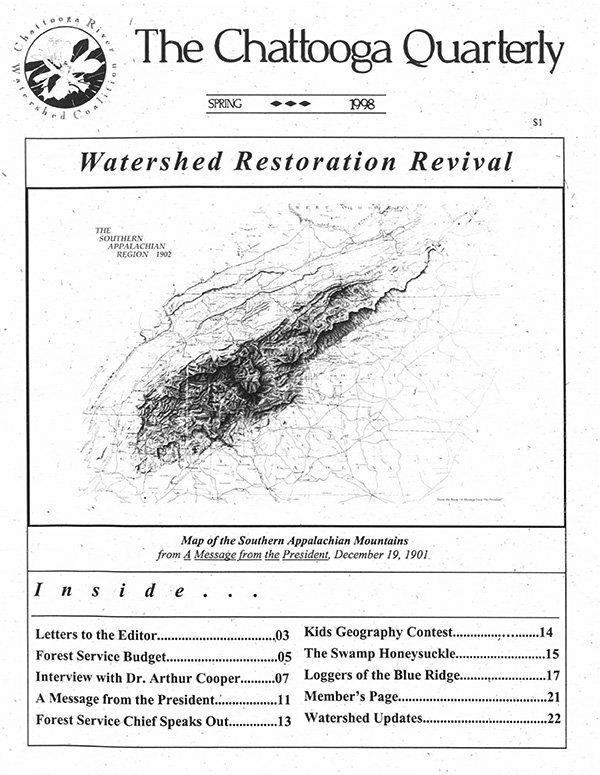 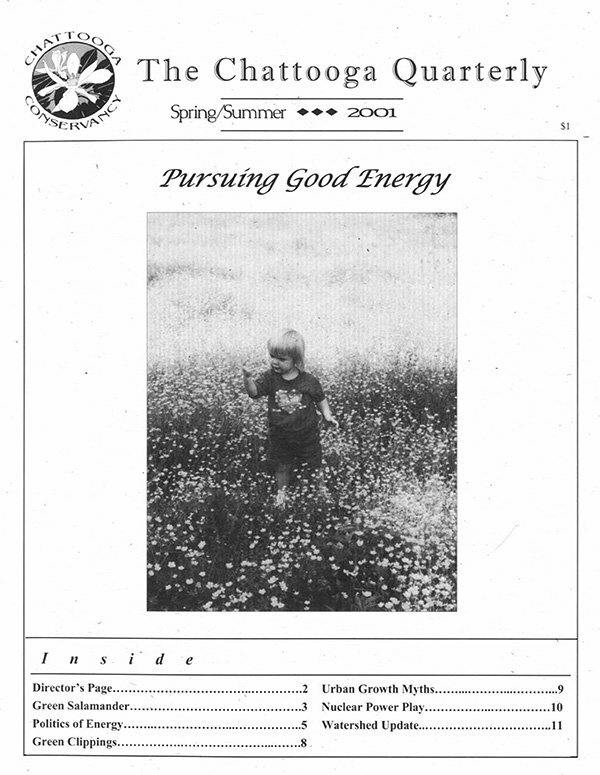 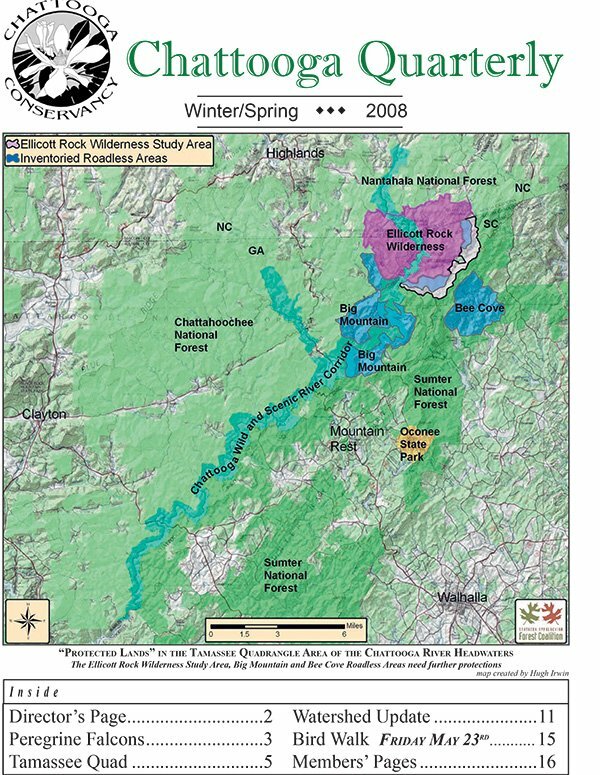 Stekoa Creek: A Plan for Restoration | Conservation Easements | Deconstruction of Environmental Policy | Who Was General Andrew Pickens?